Transform your utility bill and meter data challenges into measurement, verification, and savings opportunities. EnergyCAP offers a library of more than 300 reports, so it’s likely that you’ll find what you need “off the shelf.” However, if you have specific report requirements, our development team is also available to create the custom reports you need. Another option is to add Report Designer to your EnergyCAP license and create your own custom reports as needed. Report Designer is a Microsoft Excel® Add-in that works by importing data right from your EnergyCAP database into a user-customizable Excel pivot table report. Drawing on the power of our APIs, Report Designer allows you to tap into your in-house Excel expertise to build custom reports. Report Designer is also bundled with easy-to-use templates, so even novice users can generate reports out of the box. 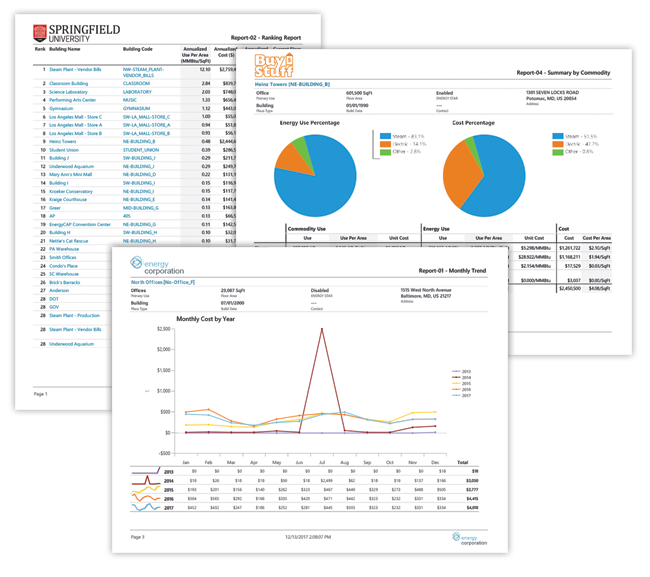 Training is also available to assist your organization’s report developers.